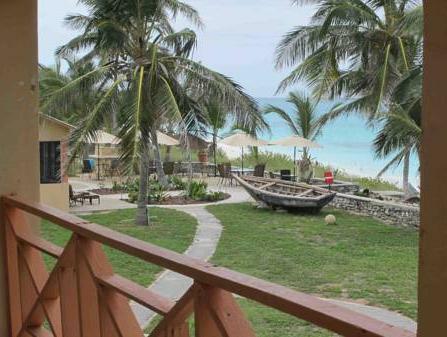 ﻿ Best Price on Exuma Palms Hotel in Farmer's Hill + Reviews! Located on the beachfront of Three Sisters Beach, this hotel offers rooms with balconies and spectacular views of the Caribbean Sea. 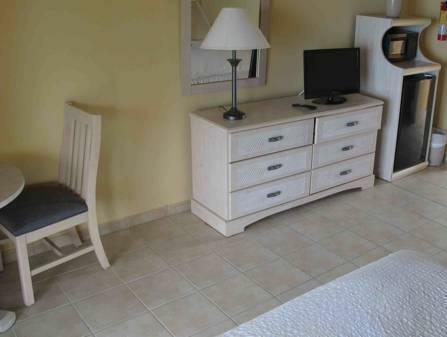 Exuma Palms Hotel is 6.4 km from Exuma International Airport. The Exuma Palms features a restaurant-bar that serves breakfast and dinner. There is free Wi-Fi throughout. The air-conditioned rooms have simple décor in light colours, and they all come with 2 queen-size beds. There is also a cable TV, a microwave and fridge, as well as a coffee maker. Local activities include watersports and the nearest golf course is 3 km away. Staff can provide information on the island's marine life and nearby conservation parks. George Town is a 15-minute drive from the hotel. A damage deposit of USD 100 is payable on arrival. This will be refunded upon departure once the condition of the room has been checked. A security deposit of USD 100 is required upon arrival for incidentals. This deposit is fully refundable upon check-out and subject to a damage inspection of the accommodation.